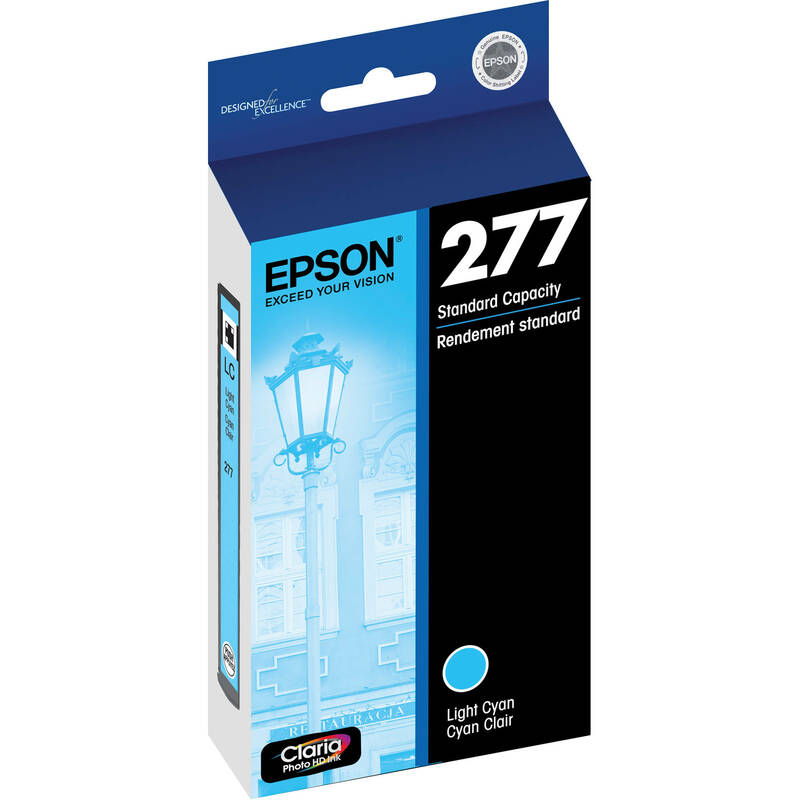 The light cyan Epson 277 Claria Photo Hi-Definition Ink Cartridge is designed for the Expression Photo XP-850 & XP-950 printers and yields smooth skin tones and is ideal for printing high contrast images. Box Dimensions (LxWxH) 6.4 x 2.9 x 0.9"
277 Claria Photo Hi-Definition Ink Cartridge (Light Cyan) is rated 3.7 out of 5 by 3. Rated 5 out of 5 by f-Stop Bill from Great ink. I use it all the time. I use it for general printing and photography. Rated 5 out of 5 by f-Stop Bill from I will buy this ink again and again. Great ink. what is the difference between 277 ink and 277 xl ink ? The XL lasts quite a bit longer. I wish I could tell you the exact amount, but I think I can do about double the prints with the XL over the regular one. Hope that helps a little!